Edmund D. Soule – father of Diane (’74), Laura (’75), Mary Ann (’77), and Linda (’88) passed away Feb 20th. 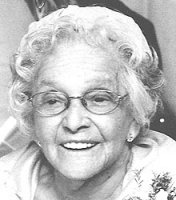 Dr. Virginia Konz Hendricks Mazur, 84, of Reno, Nev., formerly of Toledo, Ohio, West Palm Beach, Fla., and Griffin, Ga., passed away Dec, 23, 2009, at St. Mary’s Hospital in Reno, Nev.
Born Jan. 16, 1925, in Toledo, Ohio, to Alfred Joseph and Ruth Edna (Wagner) Konz, Dr. Mazur was a graduate of the Olivet Nazarene College and the University of Illinois College of Medicine (Chicago campus). Dr. “Virginia” practiced general/family medicine with her late husband, Dr. “Bob” Hendricks, and then worked for the state of Ohio in various positions before retiring in 1985. Her positions with the state included medical director of the Zucker Clinic, Northwest Ohio D.C., Tiffin Developmental Center, Toledo Mental Health Center (now known as Northwest Ohio Psychiatric Hospital) and as a consultant to Sunshine Children’s Home and the Margaret Hunt Center. Dr. Virginia also worked for the state of Ohio evaluating nursing homes. Dr. Mazur was preceded in death by her husbands, Dr. Robert Hendricks (1977) and Edward Mazur (2002), brother, Leon Wagner Konz, and sisters, Ellen Lucille Brenner, Dorothy Good, and Thelma Bushnell. Surviving are her daughters, Nancy (Richard) Silvers of Pittsburgh, Pa., Susan Hendricks Frishman, of Reno, Nev., and Dana Harrell, of Athens, Ga.; sons, Robert Stewart (Vonnie) Hendricks, of Sommerville, Ohio, and Todd Alan (Stephanie) Hendricks, of Toledo, Ohio; and brothers, Ronald Konz, of Whitelake, Mich., and the Rev. Harold Konz, of Mansfield, Ohio. Also surviving are 11 grandchildren, and four great-grandchildren. The family will receive friends at the Bersticker-Scott Funeral Home, 3453 Heatherdowns Blvd. at Byrne Road, Wednesday, Dec. 30, 2009, after 10:30 a.m, followed by services at noon and interment at Ottawa Hills Memorial Park Cemetery. The family suggests memorials to Renown Institute for Cancer (Reno, Nev.), the American Cancer Society, or a charity of your choice.